If you’re building your own online store, one of the more popular options is using WordPress with the WooCommerce plugin. It’s highly customizable, since it uses the WordPress platform. It’s been downloaded over 20 million times, and powers 39% of all online stores. This is why it’s one of the eCommerce platforms that I highly recommend. I personally used WooCommerce when I built Crafty Pie, and one of the themes in this roundup is the theme I used for that store. 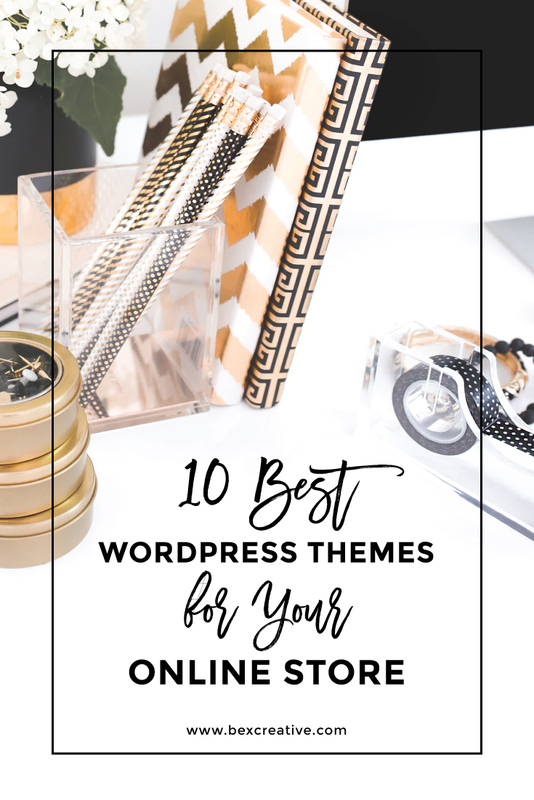 So, if you plan to use WordPress and WooCommerce for your online store, check out my 10 best WordPress themes for eCommerce. Samantha is feminine yet minimal enough to be suitable for any type of shop. The home page layout is perfect for showing off your product categories, testimonials, promotions, newsletter opt-in and any other information you want to display. Samantha is also fully responsive, so your customers can shop on their phones, tablets or computers. You also get unlimited support when you buy this theme. 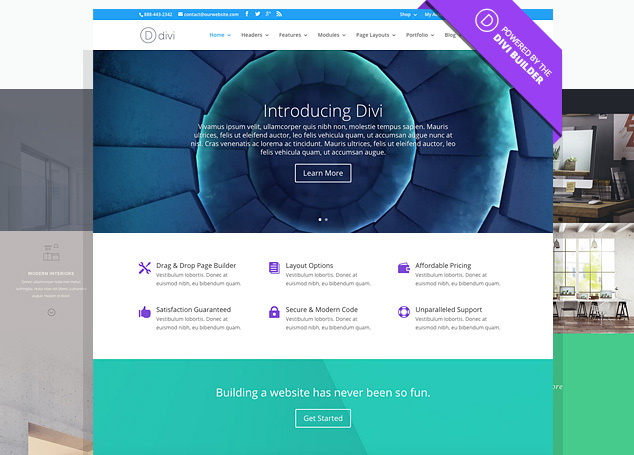 Divi is a powerful yet flexible WordPress theme that allows you to edit and build your page right in the browser, which is unlike any other WordPress theme out there. This site uses the Divi theme, and I highly recommend it for it’s ease of use and feel it’s one of the very best WordPress themes for eCommerce. It’s also highly customizable for the developers out there. Access to all of the Elegant themes and plugins start at $89 per year. 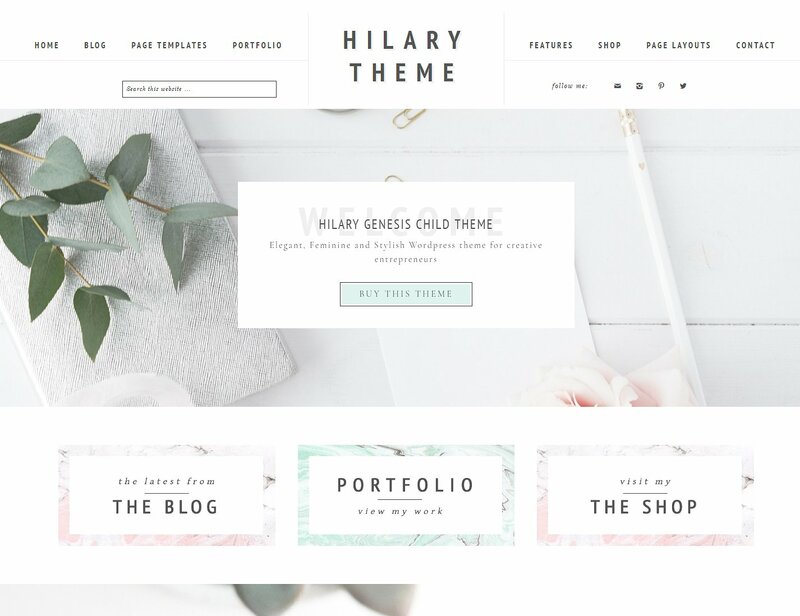 Hilary is a portfolio and eCommerce Genesis child theme. You need the Genesis theme in order to use this child theme, which retails at $59.95. What I really love about this theme is the unique header, which has everything you need, from your site menu to search bar to social media icons. You can easily customize with your brand’s colors and fonts. 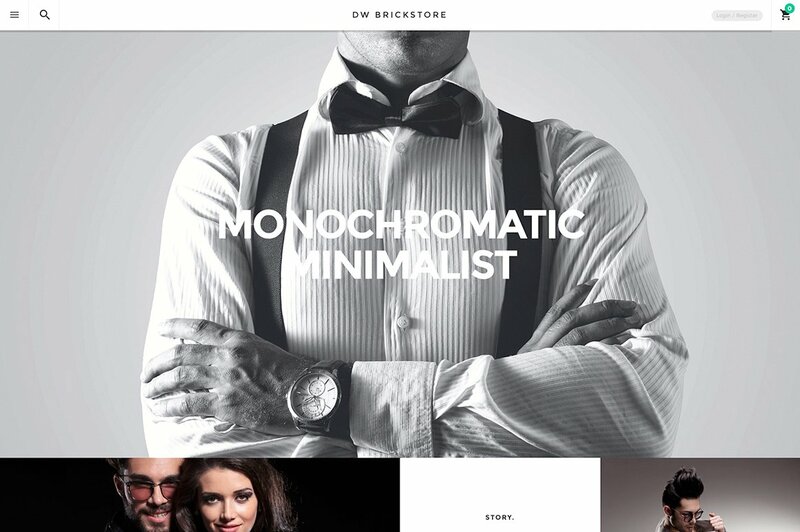 Brickstore is a minimal, responsive WordPress theme. It’s one of best WordPress themes for eCommerce because it’s built specifically for eCommerce stores. It has a full-width design and comes with three different homepage layouts to give you lots of options. Pricing starts at $69 per year for all of Design Wall’s theme plus premium technical support. Amore is another Genesis child theme, which gives you all of the options and flexibility that come with the Genesis Framework. This theme has a neutral color palette, perfect to show off any type of product. It’s simplicity allows you to customize this theme to meet your shop’s needs. 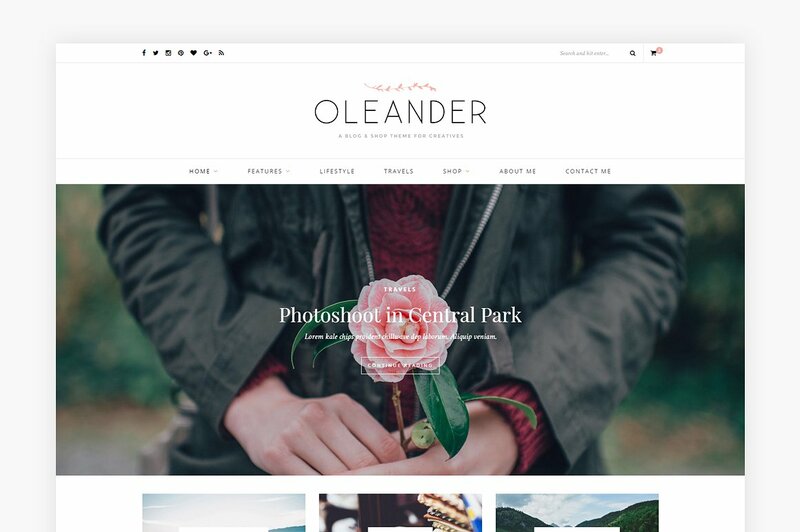 Oleander is a feminine blog theme, but is versatile enough to use for your shop. 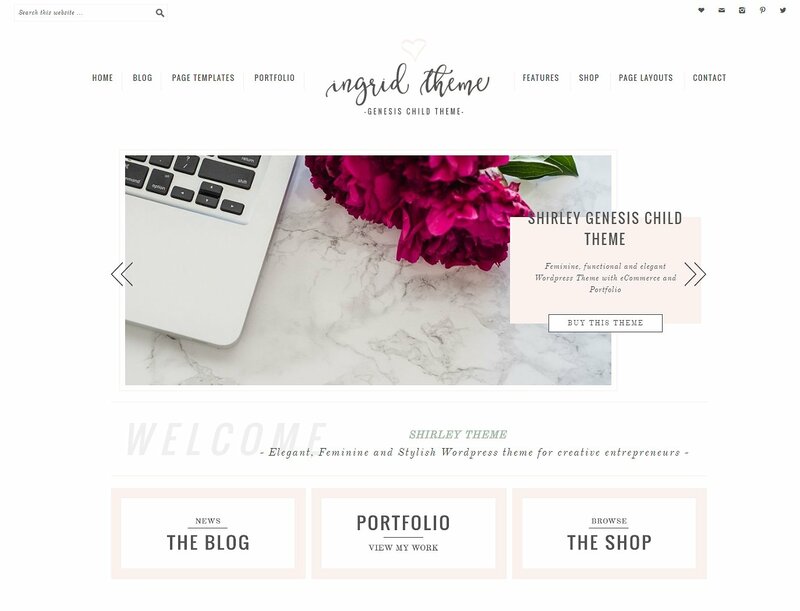 This is theme that I used for Crafty Pie, so I know what I’m talking about when I say it’s one of the best WordPress themes for eCommerce. One of the fun features of Oleander is the full-width Instagram feed towards the bottom of the home page – the perfect way to show off your social media efforts. Ingrid is another Genesis child theme by Lovely Confetti. It has another creative header layout. This is a fun, playful theme, and there are lots of customization options to play with without having to know any code. Stylishness is definitely a stylish shop theme. Perfect for fashion or accessories. It’s geared more towards masculine products, but it’s minimal enough to be used for any type of product. The theme itself is $39, but Ordasoft has a membership option starting at $90 with access to all of their WordPress themes plus premium support. 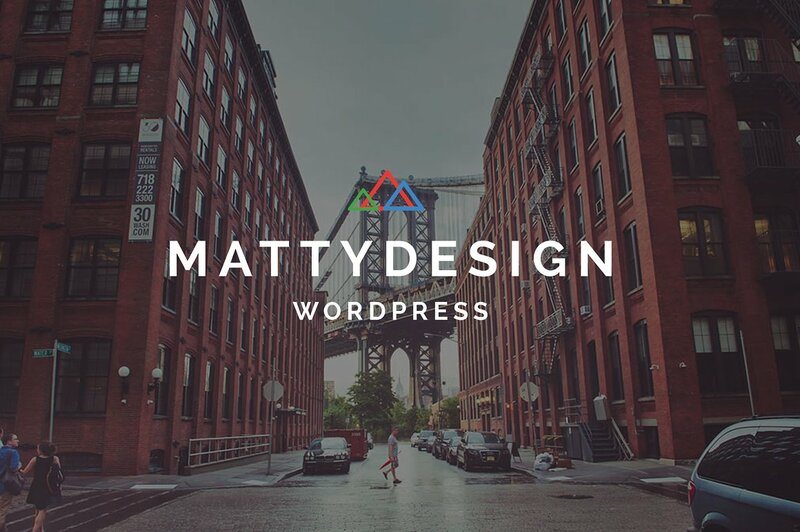 Matty is a very flexible and powerful WordPress with multiple shop page layouts to choose from. I especially love all of the layout options for the individual product pages. This would have saved me a lot of time and hassle trying to customize this myself. This theme comes with unlimited support with a 24 hour response time. 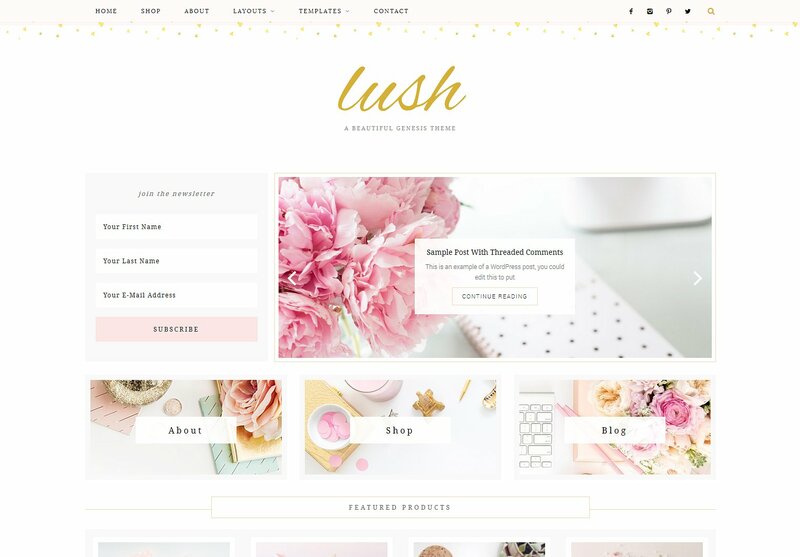 Lush is feminine eCommerce Genesis child theme. 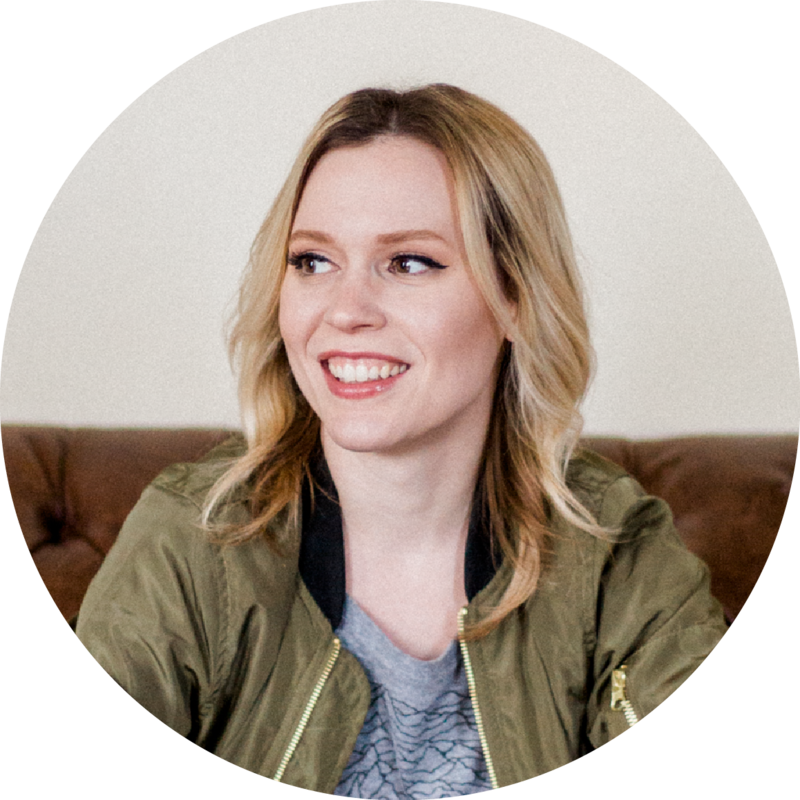 It boasts six page layouts, four blog layouts and a customizable color scheme. This is a perfect theme for a gift shop, stationery store, accessories or other girly items. 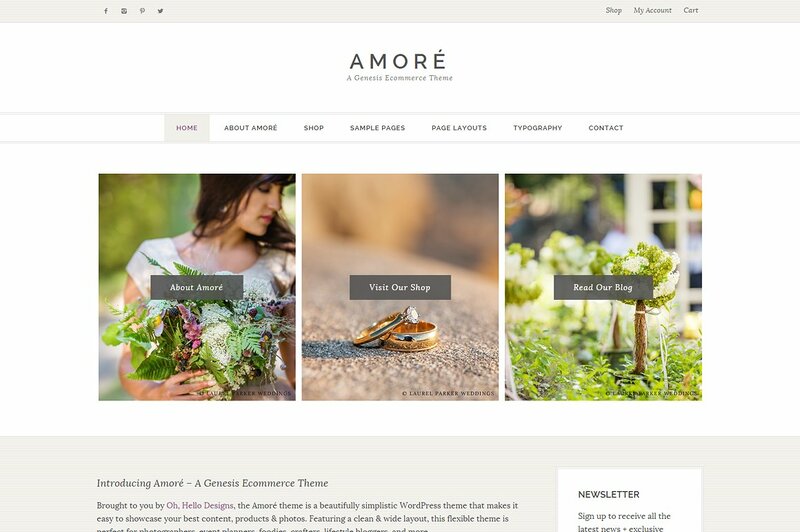 What do you think is the best WordPress theme for eCommerce? Do you have any favorites?